The club owns two SZD-50 Puchacz two seater gliders which are used for pilot training flights with an instructor, solo flights, mutual flights and air experience flights. They are very effective trainers and are also capabale of substantial cross-country flights. The Schempp-Hirth Duo Discus XL is a high performance two seater. 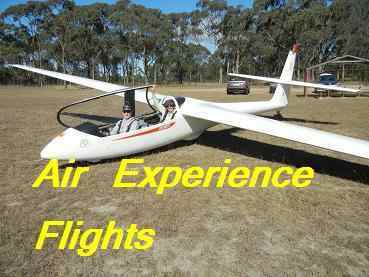 It can be used for all types of gliding from initial training through cross-country training to competitive flying at all levels. 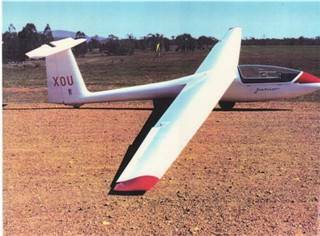 The SZD-51 Junior, a medium performance standard class glider, is likely to be the first solo machine that a pilot would convert to after completing several solo flights in the Puchacz. This machine is likely to be used for the first few cross-country flights by a newly qualified pilot. 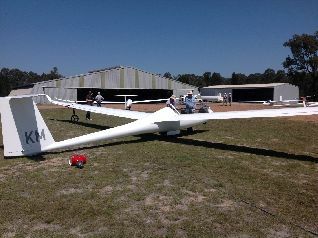 The Schempp-Hirth Discus 2b, a higher performance standard class glider than the Junior, is available for more advanced pilots. 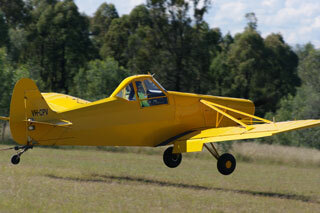 All launches are by aerotow	using the club's Piper Pawnee aircraft. The club also allows members to erect their own private hangars in accordance with an agreement. 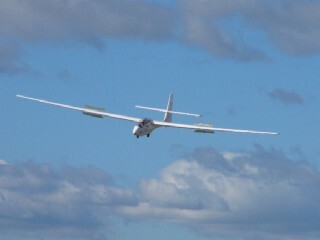 The club is also home to over 20 privately owned gliders. Some have an allocated place in one of the club's hangars while others reside in their own private hangars. 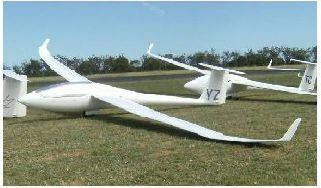 Privately owned gliders are typically owned by individual club members or syndicates of a small number of members. You can see photos of some of the privately-owned gliders in the gallery.